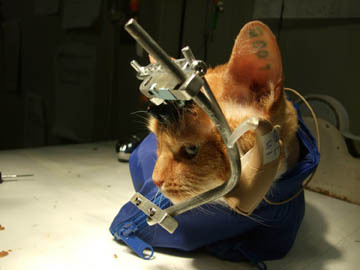 University of Wisconsin researchers and People for the Ethical Treatment of Animals continue to stand at odds concerning the cause of a federal agency investigation that resulted in a citation because the treatment of a cat in an experiment at a UW lab. A UW research lab did not appeal a citation by the United States Department of Agriculture after inspectors found a case of a cat suffering a burn when the chemical hand-warmer used to keep the cat warm fell off during a surgery last April. Eric Sandgren, UW’s Research Animal Resource Center director, said the university has been transparent about the standing citation and posted the USDA report on the university website as soon as they learned that the appeal had failed. He added that he did not think the citation should stand because appropriate steps have been taken and new guidelines were put in place after the accident. “The bottom line is that, yes we made a mistake. That’s been posted on our website for two weeks, right after we got the citation from USDA. I don’t know why PETA all of a sudden is bringing it up,” Sandgren said. UW received two citations during the investigation in December and successfully appealed one, he added. PETA spokesperson Jeremy Beckham said the report was obtained through the Freedom of Information Act and confirmed PETA’s allegations of “unrelieved, ongoing suffering of cats” in the UW lab. Beckham also said the university has been falsely claiming to be free of all citations from USDA even though it had been notified in December and has been appealing the citations for two months. According to Sandgren, the report would have labeled it a “focused investigation” if it had been a response to PETA’s second set of complaints filed last year. PETA filed two separate complaints against the university, one last April and another last December. UW received no citation from USDA from the focused investigation in response to the first set of complaints. Sandgren said he has not seen the second sets of complaints filed by PETA, which is only available through filing an open information request. PETA included five charges against the university in the second complaint alleging serious animal welfare violations, which are distinct from the previous allegations. Sandgren said he has heard about the new complaints but cannot comment on the allegations before looking at the actual report. “We filed [a request to obtain the report] in March but we haven’t got it yet, you can imagine how frustrated we are,” he said. The USDA did not reply for comment as of press time. The Badger Herald · PETA, university continue to stand at odds over USDA report.